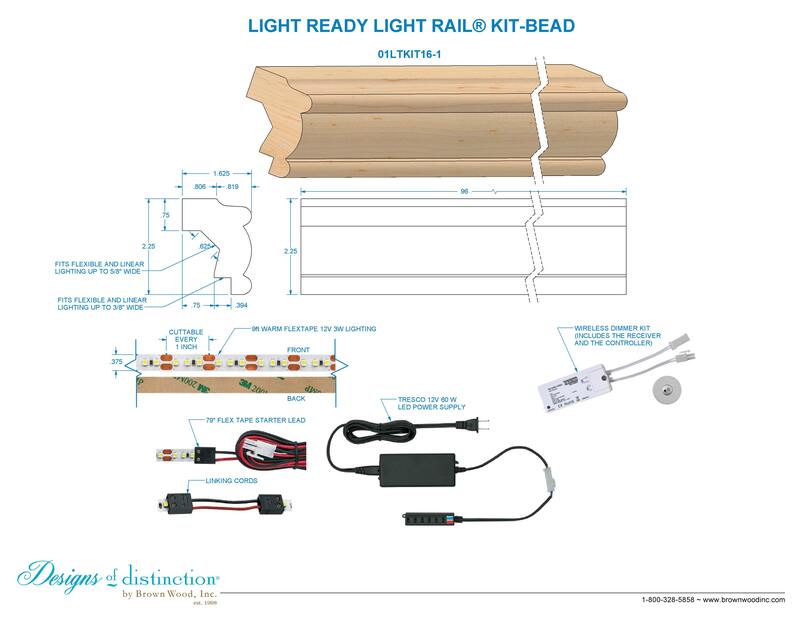 The Bead Light Ready Light Rail® Kit comes with everything you need to update new or existing cabinets with LED undercabinet lighting. Our Light Ready Light Rail® kits are powered by Tresco electronic supplies. Add extra glam to your new or existing cabinetry, vanities, shelving, and more.